What if you could have full and immediate visibility on blockers? Have you ever wanted automatic dependency graphs of issues that you can actually read? It's time to stop clicking down rabbit holes in pursuit of dependencies—and start visualizing. 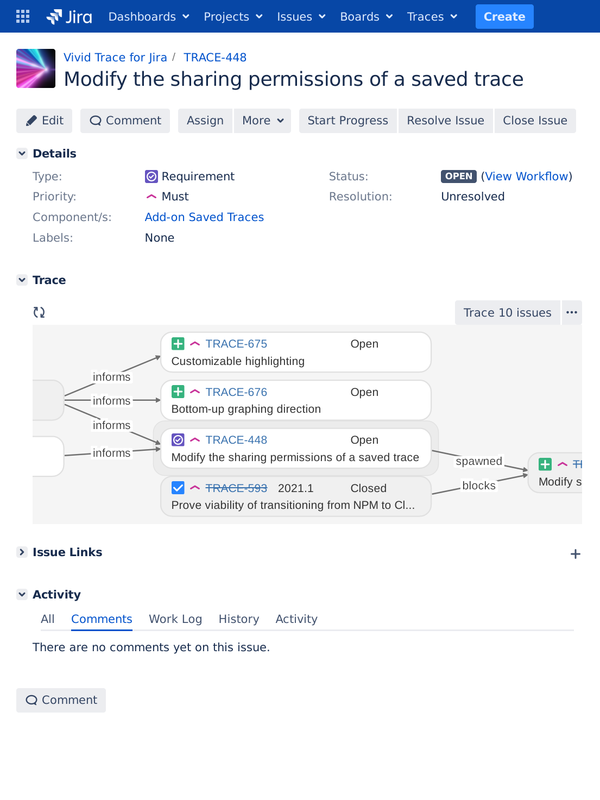 See how Vivid Trace's intuitive Jira dependency graphs can show you exactly what you've been looking for. "Quality Management at Corporate Technology China defined a tracing approach and template which was required to be implemented in our tool chain. Vivid Trace, which is a key component in our JIRA setup, provides us with the required functionality in a very efficient and intuitive manner." You'll be running Vivid Trace on your JIRA system in 10 minutes. Get started with a 30-day free trial. Find a Partner in your region or purchase a license online.